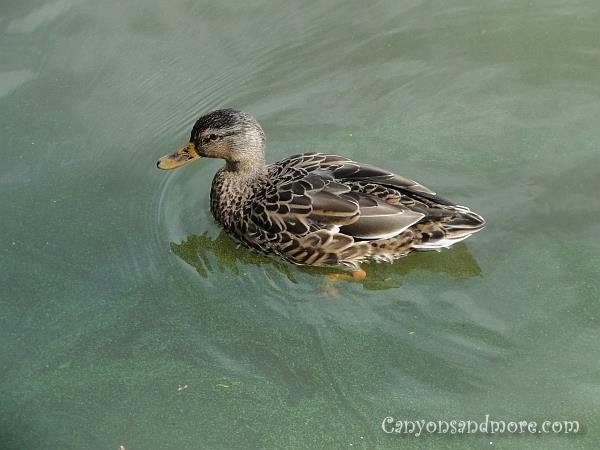 Whether you spend a day out at the pond or the lake, these birds keep us company during our stay. Sometimes they are just spending time on the grass and soaking up some sun, swimming along or dipping their heads in the water for fish. 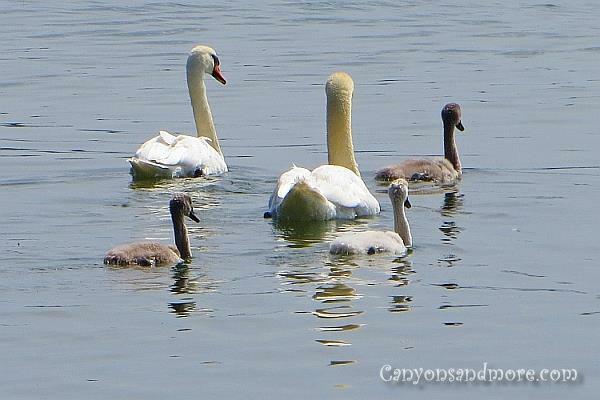 They are pleasant to watch and it is especially wonderful to see mother birds with their young ones swimming along. How cute they sound with their chick-like calls. 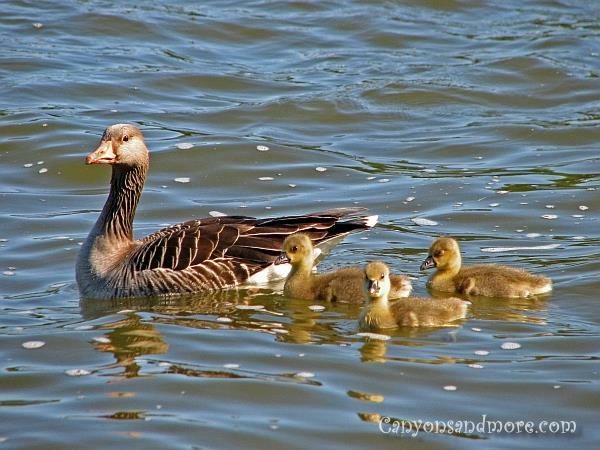 There is nothing more adorable than seeing the mother birds going out for a swim with the young ones like in the image above. The sweet sounds they make are just too precious. 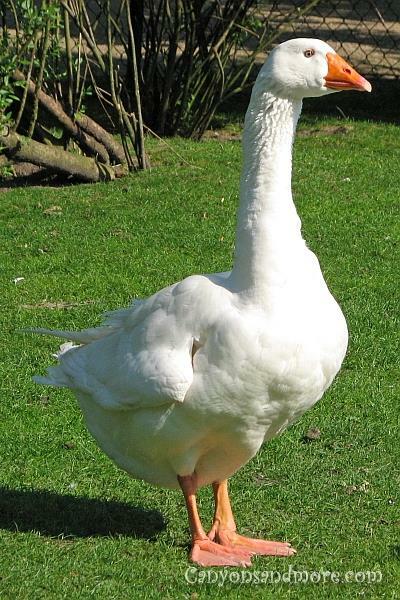 How peaceful the life of a duck can be. A swim is just the right thing to do on a warm summer day. The Segeberger Lake is located in Bad Segeberg, which is a small town in the state of Schleswig-Holstein, Germany. Many people come to Bad Segeberg in the summer to see the Karl May Indian plays at the Kalkberg Arena, but Bad Segeberg is also known as an area for those seeking wellness and relaxation. Spending a wonderful summer's day outdoors with the family on the lake is really the good life! 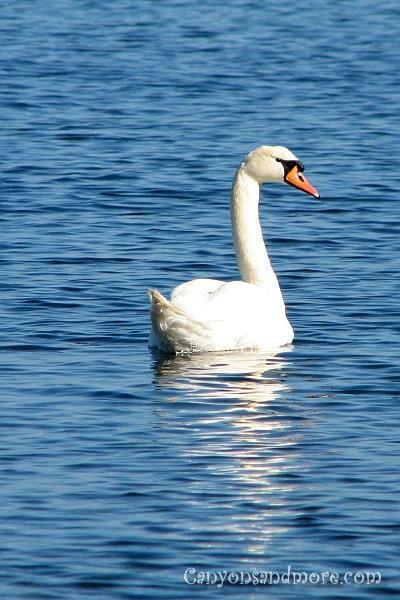 This swan is looking so majestic while swimming on the Baltic Sea. Again another example of the beauty of nature. 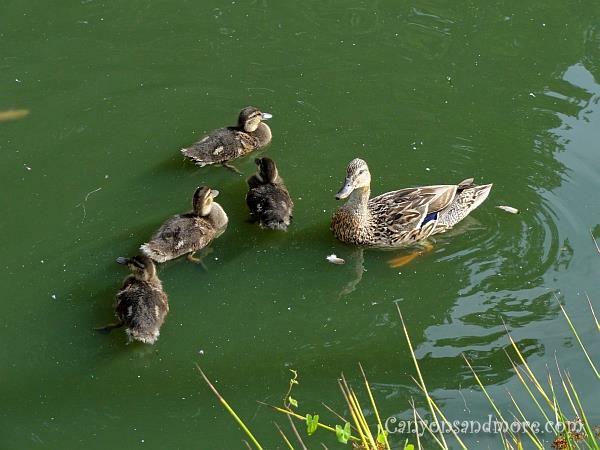 This mother duck was keeping good watch over her little ones while out on their excursion in the big lake. A whole flock of white geese were enjoying the warm spring day by the lake. This one was standing proud on the grass and just seemed to be waiting to be photographed. 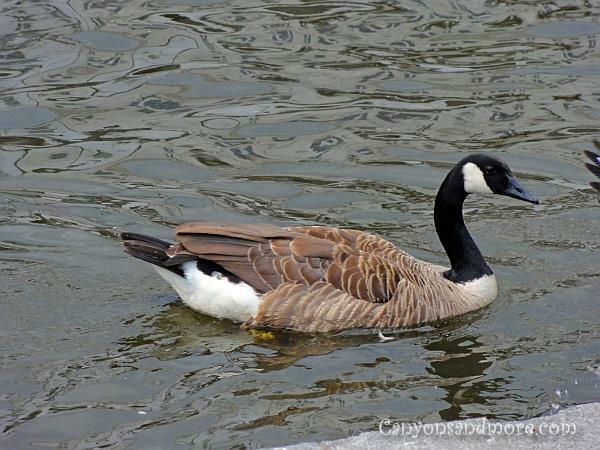 Canadian geese spend also their summers along the Alster Lake in Hamburg, Germany. They seem to get along well with the grey geese that also spend their time in the same area.